In an earlier blog post, I showed that there are a number of arguments for why the introduction of a punitive tariff will give the protected sector temporary respite, but simultaneously damage the economy of the entire country. The historical experiences of the United States themselves show that this is not just graytheory. Punitive tariffs damage the domestic economy in many ways: They increase the prices for final products reducing the purchasing power of consumers. They increase the cost of intermediate goods for companies damaging the international competitiveness of the domestic economy. Punitive tariffs (like any import duty) act like a tax on exports. If both demand by consumers and exports decline, there will also be a drop in companies’ investments, reducing production, employment and income on the demand side. On the supply side, the protected sector requires too many resources that other sectors lack. In other words, tariffs encourage the misallocation of scarce resources. Retaliation by the countries affected by the trade barriers weakens economic growth even more. The described effects slowing growth in a country that protects itself against imports from abroad are not just theory by any means. There are many historical examples where countries have adopted trade-restricting measures to protect individual sectors and caused economic harm to their own economies overall. The Unites States has introduced such measures particularly frequently. An early example is the general trade embargo imposed by President Thomas Jefferson from December 1807 to March 1809. It led to an almost complete collapse in US foreign trade. According to estimates by Irwin, this embargo led to a five percent decline in American gross national product (GNP). It should be remembered that numerous trade barriers were already in force before this embargo (see Irwin 2005: 643). The “Smoot-Hawley Tariff Act” also imposed very far-reaching barriers on American foreign trade. This federal act adopted in 1930 raised import duties on more than 20,000 products substantially. The concrete impact on the American economy is not clearly quantifiable. However, it is evident that this trade barrier exacerbated the economic downturn in the Great Depression. Accordingly, American real GNP fell by around 30 percent between 1929 and 1933. Crucini and Kahn argue that up to one third of this decline can be attributed to these trade barriers (see Crucini/Kahn 2003: 11). A prominent example of punitive tariffs in the recent past can be seen in the protective tariffs for steel, which were introduced in the United States under President Bush in 2002. According to empirical estimates by Francois and Baughman, the associated increase in steel prices led to a total loss of around 200,000 jobs in the United States over the course of 2002. That amounts to more jobs than there were in the entire American steel industry in that year (187,500 in December 2002; see Francois/Baughman 2003: 12). In addition, a large number of US steel processors applied for exemptions since the domestic steel industry was unable to provide the required quantities and quality. As a result, imports increased sharply and the punitive tariffs were lifted. In practice, countries often do not impose tariffs, but rather limit the number of imports to protect the domestic economy. 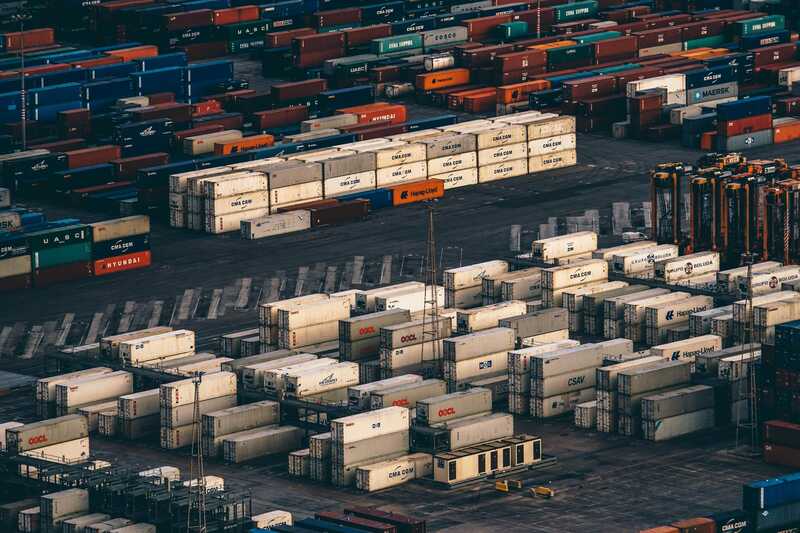 In principle, this measure has the same economic consequence as limiting imports through a punitive tariff –with one restriction: In the case of tariffs, demand can react through the price mechanism. If, for example, demand is inelastic in terms of price, imports will not fall despite the tariffs. The price increases. In the case of quantitative restrictions, an adjustment through prices is switched off: the safer method of restricting imports for bureaucrats. For example, the American quantitative restriction of steel imports from Japan and Europe in 1971 and 1972 led to an estimated 1.2 to 3.5% increase in American steel prices (see Crandall 1987: 273). The restrictions on the import of Japanese cars, which the United States introduced in April 1981, meant that prices for American cars were around $750 to $1,000 higher in 1984/85 due to this restriction on imports. The overall losses for the US economy in 1984 were estimated to be $5 billion (see Crandall 1987: 276, 287). The historical examples show: politicians and bureaucrats initially find trade barriers to be a suitable means of protecting the domestic economy or certain sectors from foreign competition. However, the economy as a whole suffers over the long term. This also applies to the protected sectors: The necessary adjustments are not made there so international competitiveness continually declines. Compounding the problem, countermeasures adopted by the affected trading partners, cause additional damage to the domestic economy. Punitive tariffs have historically been the basis for trade wars and economic crises. If we choose to ignore history, we are doomed to repeat it. Crandall, R. W. (1987): The Effects of U.S. Trade Protection for Autos and Steel, in: Brookings Papers on Economic Activity. 271 – 288. Crucini, M. J./Kahn, J. (2003): Tariffs and the Great Depression Revisited, Federal Reserve Bank of New York Staff Report No. 172, New York. Francois, J./Baughman, L. M. (2003): The Unintended Consequences of U.S. Steel Import Tariffs: A Quantification of the Impact During 2002, Washington DC. Irwin, D. A. (2005): The Welfare Cost of Autarky: Evidence from the Jeffersonian Trade Embargo, 1807–09, in: Review of International Economics (13). 631 – 645.